A story about the power of imagination over reality; A story about the virtual, which sometimes appears to be more real than reality. "Cyber Cyrano" based on true events. Much of the drama takes place in a virtual environment. 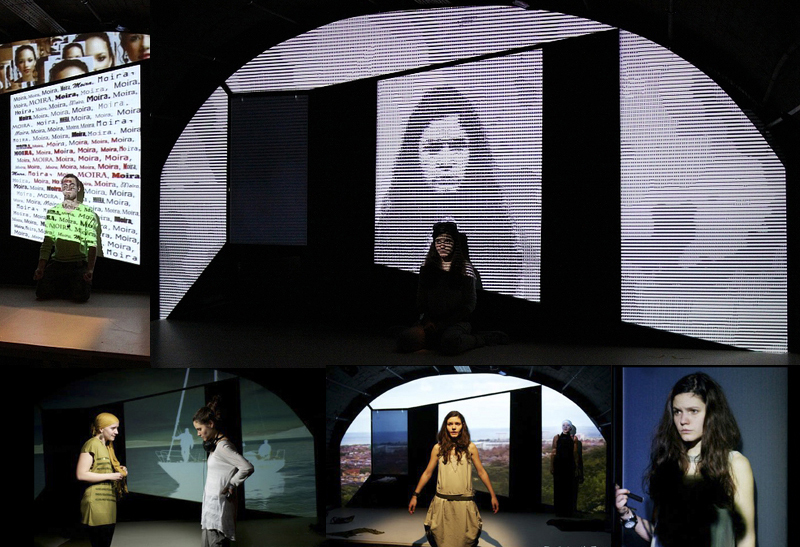 Static and moving images projected on scenes, runs on empty walls, displaying ever-changing space and temporal illusions.